LEE COWAN: You ended up making the movie you wanted to make. LEONARDO DICAPRIO: Very much so, yeah. DICAPRIO: Very, very rare. I waited until I got the right financing, the right people that would allow us to make the movie we wanted to make. 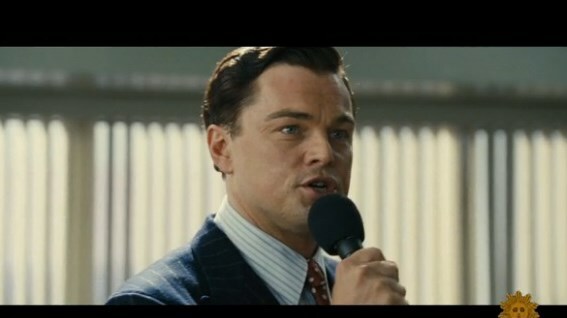 COWAN: The movie Leonardo DiCaprio was so desperate to make was The Wolf of Wall Street. It's a vibrant and polarizing look at the greed and excess of the bull market of the 1990s. COWAN: Especially, one charismatic almost cult-like broker named Jordan Belfort. (DICAPRIO in the movie: I show up in the back of a limo wearing a $2,000 suit and a $40,000 gold watch! COWAN: He said that it wasn`t really until he started doing the speeches that he sort of got the sense of the-- like that rock star quality that he had. DICAPRIO: Yeah. They`re almost like out of the gladia-- out of Gladiator or Braveheart, like a war cry to your troops except they are completely twisted and encouraging, these soldiers that go out there and screw over as many people as possible. COWAN: DiCaprio was intrigued by Belfort's autobiography, an unvarnished tale of drug abuse, and abuse of his clients, cheating investors out of millions before going to prison for securities fraud and money laundering. (To DiCaprio) How much time did you actually spend with Jordan Belfort? DICAPRIO: Many months. It certainly helped me with a lot of the Quaalude sequences because I had no idea what this stuff was like. DICAPRIO: Yeah, he crawled around of the floor. DICAPRIO: Yeah. And showed me what it was like. COWAN: Did you like him? DICAPRIO: You know, he`s a likable guy. I think a lot of his actions were deplorable and he'll admit that. But when somebody is such an open book and-- and is so candid about what they did in unflinching-- you have to appreciate that as an actor because there's not many people that really do that. COWAN: DiCaprio shopped the movie around for seven years, no takers. Even director Martin Scorsese was reluctant at first. MARTIN SCORSESE: Leo was the one who stayed on the project. He would just keep coming around, telling me more about the project. COWAN: He was pretty persistent? SCORSESE: Yes. I said, all right, I'll look at it again. I said but please, don't let me even read it if there's no possibility of doing the picture the way it should be made. 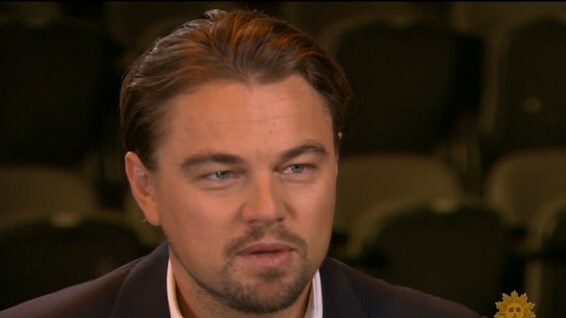 DICAPRIO: Because the world that we live in seems to be very surreal sometimes. This incessant need for more is a part of our culture. And I see it all around me. And, you know, in doing this movie, we wanted to put that darker nature of humanity up on the screen. COWAN: His persistence paid off. His performance has already earned him a Golden Globe. DICAPRIO: First and foremost I have to thank Mister Martin Scorsese. Thank you for allowing me to stalk you into making this movie. CHERYL BOONE ISAACS: For best performance by an actor, Leonardo DiCaprio. COWAN: --his fourth nomination for acting and one of five nominations for the film itself. SCORSESE: On this picture, he is-- it's the role of a lifetime, really. I mean, he`s just taken it to another level. None of the clips showed any profanity or perversity -- even though the online article displays a piece of the script with three F-bombs used in the speechifying scene they used in their soundbites.